Shivangi Joshi CHALLENGED Kritika Kamra and ‘THIS’ happened! MUMBAI: It is not only what we wear that defines us our personality but also the way we carry ourselves. Fashion does not comprise only wearing modish clothes; beauty, hair, and a lot of other aspects play an important role in it. 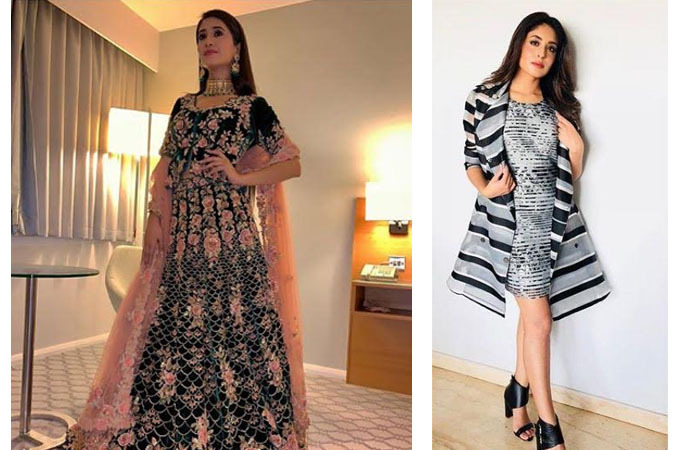 Television actresses Shivangi Joshi and Kritika Kamra know exactly how to look amazing, be it with make-up or the natural look with just a good base and foundation. We spotted them in some great outfits while browsing through their social media accounts, and we must say, the ladies know the right way to play with their make-up! What do you think of Yeh Rishta Kya Kehlata Hai? Shivangi looks surreal in her outfit, but what makes her look glorious is her makeup. Her kohled eyes, red lipstick and blush over a light foundation base make her look mesmerizing. Meanwhile, Kritika keeps her make-up just about right with a thin liner slightly highlighted below the eye, a contrasting eye shadow, and not to forget the red lipstick! Whose makeup game is applaud worthy? Shivangi or Kritika?